Choosing the best streaming music service for business is important for your place of business. Why choosing the best streaming music service for business is important. There is a wide variety of streaming music services on the market today and choosing the best streaming music service for business is an important decision for you as a business owner. If you take notice when you are out and about, going through your day. You will probably visit a hand full of retail locations daily on a regular basis. These businesses could be a bank, restaurant, the grocery store, your favorite bar or even a hotel. What all these businesses will most likely have in common is that they will be playing some sort of background music service in their place of business to set the mood they want to project to their customers. Research has shown that playing music in a commercial business increases productivity and helps customers identify with your brand. Walk into just about any retail store and you likely will hear music playing in the background. For smaller businesses it may be more for the enjoyment of the staff, but for most retailers it is to create that association for your customers of the goods and services that your business offers that fits them just right. This association from music and the experience that your customer receives when they are shopping at your business is what helps customers associate with your business to become loyal customers. Not all streaming music services are the same and good for your business. In the market today consumers have a wide choice of online music streaming services. PC Mag just recently did a wonderful review of the The Best Online Music Streaming Services for 2019 and the heading under the title reads “Whether you’re looking for the perfect soundtrack for the gym, party, or open road or just a distraction from workday tedium, one of our best streaming music services can help”. All of the streaming music services listed above offer great features and functionality. Some even let you create your own music playlist and most likely could work at your place of business as the solution to provide background music at your place of business. If you are one of the millions of business owners doing this heed these words of knowledge penned by the music group Digital Underground “STOP WHAT YOU ARE DOING, BECAUSE I’M ABOUT TO RUIN, THE IMAGE AND STYLE THAT YA USE TO”. All of the streaming music services shown above will not work for your business. As a matter of fact they could hurt your business. The streaming music services shown above are consumer based streaming music services that are licensed for personal consumer use only “B2C” not “B2B”. As a matter of fact the the global music industry is losing $2.65 billion every year because from small businesses misusing personal music-streaming services, according to a study published by licensing Nielsen Music to survey music use in businesses across seven markets. When music is played in a commercial space like a store, restaurant or other public venue. A very different music licensing agreement is required for constituting a “public performance, it needs to be licensed under copyright laws separate from the laws that govern the use of personal music-streaming services like Spotify, Pandora or any of the streaming music service listed above in this article. The study states that only 17 percent of small businesses have obtained public performance licenses, while 83 percent illicitly use a personal music streaming services and that 71% of the business owners in America incorrectly believe that a personal music account is allowed to be used for background music in their business settings. Most music is protected by copyright law, which provides exclusive rights to copyright owners to perform or play their songs. If a business owner or someone plays music without permission of the copyright holder, they are infringing on their copyright, and copyright law which allows the music owners or copyright holders to recover damages ranging from $750.00 per song violation upwards to $150,000 if a court decides the infringement was done with willful intent. There are some exceptions, and if you believe your business is excluded from paying public performance royalties you can check out section 110(5) of the Copyright Act to see if you qualify. But for the majority of business use cases, a public performance license is required to play music at your place of business. Navigating the streaming music licensing mine field. As a business owner you know what it is to have a great team around you that helps get your business going every day. Let us say you own a restaurant business and in order to run that restaurant you need a manager, waiters, an expediter, cooks, a greeter, and bus person. All of these folks share in the prosperity of your business in the form of salary and or tip share. The music industry is no different. Within the music industry in most cases various of groups of people work together to create that one hit song you love. You may think it’s just the music artist who developed that song but in most cases there is a team of people who help produce that song and who all share an interest in bringing that song to market. These folks job titles range from musicians who play on the track, a song writer who maybe wrote the song, a lyricist who wrote the words to the song, a musical producer who recorded the song and a singer or band who sings and performs the song to eventually the record label who owns the master recordings because they put up the monies to manufacture and market the song. In most cases how these folks get paid for their work is through music licensing. Many composers, musicians, and music copyright holders work with performing rights organizations (PROs) to have their copyrighted music disseminated into the world appropriately, so they can receive payment for their work. Each PRO manages a different catalog of music. While they may manage hundreds of thousands of songs and compositions, they do not have everything. 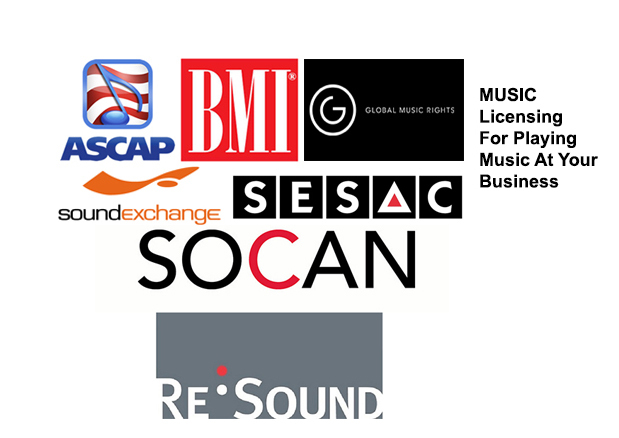 In the United States songwriters, composers and music publishers generally join one of five Performing Rights Organizations that license their work to the public: the American Society of Composers, Authors and Publishers (ASCAP), Broadcast Music, Inc. (BMI), Global Music Rights (GMR), SESAC and or Sound Exchange. The PROs send royalties to the copyright owners. However, obtaining a license from one of the PRO agencies doesn’t necessarily mean you are covered — you only have a license for that PRO’s copyright holders. For example, the composer of a song may be represented by ASCAP, while the lyricist may be with SESAC. To avoid this problem, most business owners need to choose a streaming music service that is designed especially for business that offers blanket licenses from each of the PROs, which allows the business owner the ability to play any of the music from each of the PRO’s library. Choosing the best streaming music service for your business will provide you with primary benefits of entertaining customers and motivating your staff, a great background music solution can hugely enhance your business image and provides another way to communicate your brand message to your customer. When you constructed your business location you took time into considering atmospheric features such as the interior design and lighting. What your streaming music service plays will influences how people perceive your business and should therefore be a priority. You should choose streaming music provider that can play music, that will successfully represent your brand’s demographics and requirements. Choosing the right music for business service will set your business apart from your competitors. When the music played is thought-through, the whole atmosphere is enhanced. By passing on this opportunity you’ll be missing out on how your customers perceive your business and most likely to be compared to any other venue in your industry that relies on mainstream or poorly-chosen music. StoreStreams offers the best streaming music service for business. StoreStreams offers simple pricing and robust features that make it the best choice to provide music for your place of business. StoreStreams offers music and messaging in one simple solution and is a streaming music solution that integrates seamlessly within your retail environment. StoreStreams plays the hit music of today and yesterday by the artists you know and love. StoreStreams is completely scalable and customizable for any size retail operator. No matter if you have one or thousands retail locations StoreStreams has you covered. StoreStreams offers background music and messaging with streaming music price plans start at just $20.00 a month. StoreStreams offers equipment and software solutions ranging from just the music subscription plan to a complete AMP, Speakers, and music system for your business. StoreStreams provides nationwide installation service for all its business music services. StoreStreams is a fully licensed streaming music service provider for commercial use only and is available for all U.S. and Canadian businesses. Need more information on streaming music services for commercial use? 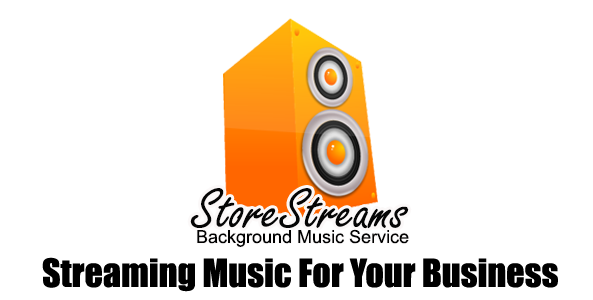 StoreStreams offers simple background music solutions that allow you to stream music for business legally. 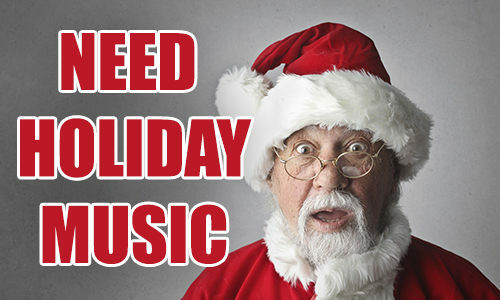 Need Holiday Music Stations For Your Business? The holiday season is upon us and we here at StoreStreams have been queuing up the best seasonal Christmas music to create the best holiday music stations for your business. StoreStreams offers several streaming holiday music channels and its holiday music lineup, features up to eight commercial-free channels, launching Nov. 1st, 2018. 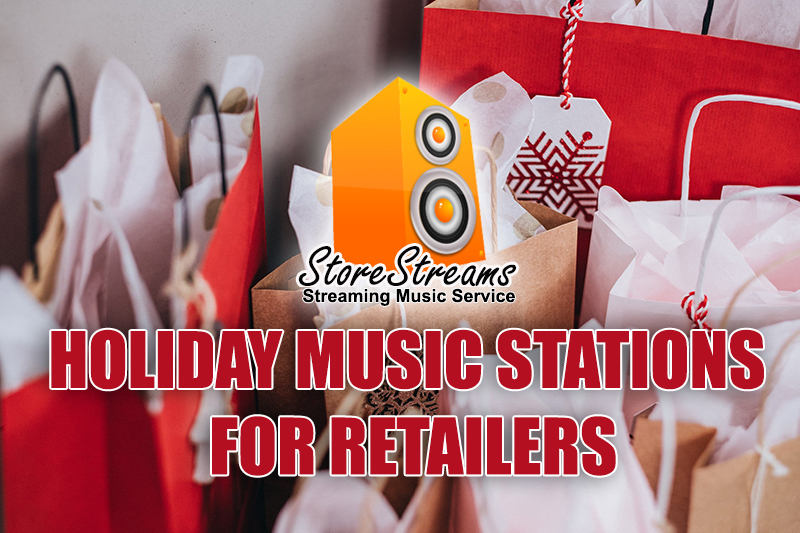 StoreStreams offers seasonal holiday music channels for retailers across the United States and in Canada that are fully licensed for business use. Holiday music service plans start at just $20.00 a month with no contract. The service is ideal for seasonal store operators and specialty retailers whom are only open during the holiday season. Holiday Music channels are included with the StoreStreams baseline streaming music service Retail Radio 247 and are available to all existing StoreStreams customers. Do you own a bar or restaurant and need high quality restaurant music to keep your customers entertained while dining ? Is your current restaurant music selection boring and does not project the ambiance you want your customers to experience? Well look no further StoreStreams offers the best solution for your restaurant music needs. StoreStreams offers the best music for restaurants playing hits from today and yesterday with tunes your customers can vibe to. 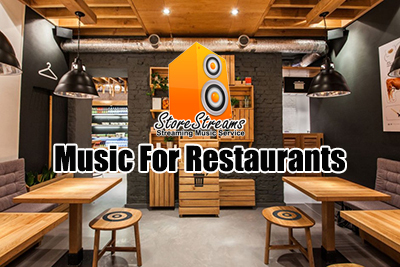 StoreStreams restaurant music service is 100% legal and offers fully licensed restaurant music ideal for themed restaurants of all types. 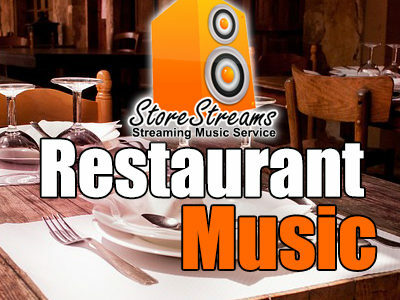 StoreStreams restaurant music service is available for U.S and Canadian bars and restaurants. StoreStreams offers the best waiting room music service in the commercial background music industry. Do you have people whom wait in line to visit your business and require waiting room music to keep them entertained? Is your current music selection boring or repetitive? Do you require a streaming background music service for your commercial space and are looking for new music to breathe life into your waiting room. StoreStreams has everything from the classics you know and love to today’s top hits! Storestreams offers a feature rich affordable music & messaging service that requires no proprietary hardware to run that will integrate uniformly with your waiting room, lobby or workplace. All of the music StoreStreams provides is fully licensed and 100% legal. StoreStreams is available for U.S and Canadian businesses and pays music royalties to the agencies below. 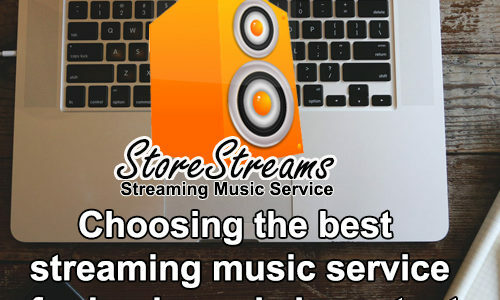 StoreStreams waiting room music service is best in its class and is affordable for any business big or small with a starting price point of $20.00 a month. Looking for affordable waiting room music? StoreStreams has your back with easy to use commercial music service that can play from any device. No proprietary hardware is required. 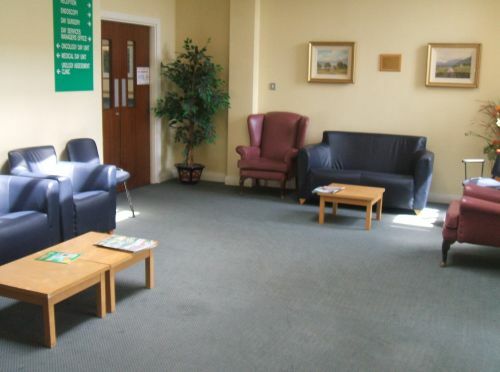 With StoreStreams your waiting room will have a good vibe and set the tone for your customers and employees. StoreStreams also offers equipment / software solutions ranging from just the music subscription plan to a complete AMP, Speakers, and music system for your business. Store Streams provides music for restaurants and is a streaming music service for business that is available in the United States and in Canada. Store Streams offers many channels to choose from or can create a custom music channel that will set the tone of your business. Store Streams is your number one solution for background music for restaurants and provides best in class music for restaurants service that is 100% legal and simple to use. Store Streams offers everything from fancy restaurant music to music curation for restaurants. StoreStreams can create that perfect vibe for your business that will keep your customers and employees happy. So if you require a special restaurant background music playlist Store Streams is the company to call. Store Streams can provide your business with restaurant music solutions that are priced affordably and that meets your your customers demographic. Need to find a streaming music service for your specific business niche. Check out some of these websites for more information on streaming music legally at your place of business below. StoreStreams offers an affordable music for business solution that is feature rich and cost effective. StoreStreams is your best choice to stream music for business legally and affordably. StoreStreams offers music and messaging features built for any size businesses both large and small. Did you know that in most cases playing a radio stations broadcast at your place of business is illegal. Playing music in a public common area such as lobby, waiting room or at your restaurant or hotel requires a licensed music service? Did you know you must pay public performance licensing rights in order to play music for your customers within those public common areas? If you are playing a radio broadcast at your place of business you may want to stop immediately and call StoreStreams and here is why. The penalties for playing unlicensed music at your place of business could result in fees of upwards of $10,000.00 its just not worth the risk. 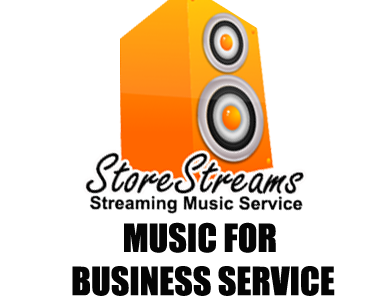 StoreStreams offers a streaming music for business service that is affordable with music for business service plans that start at just $20.00 a month. StoreStreams streaming music for business service plans. Need a custom curated music channel for your business? StoreStreams can create that unique music channel that represents your business. 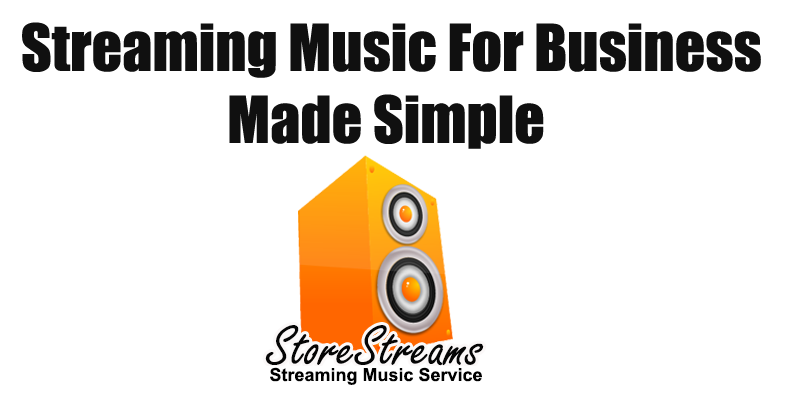 StoreStreams offers fully licensed songs, no long term contracts and an extensive music library. Set the tone of your business with StoreStreams. StoreStreams is the ideal music for business service for all types of businesses: Hotels/Resorts, Hair Salons, Restaurants, Coffee Shops, Retail Stores, Health Care Offices, Medical Offices, Dental Offices, Spas. StoreStreams offers a simple streaming music for business solution that gives you access to all of today and yesterdays hit music artist. StoreStreams is an internet streaming music service for commercial use that integrates seamless within your retail environment. StoreStreams is affordable and simple to use making it the best streaming music service for business. StoreStreams offers simple streaming media delivery to any device, with no proprietary hardware required. StoreStreams is fully licensed in the United States and in Canada with music licensing that covers your business to legally stream music in your businesses. Thousands of companies trust StoreStreams for their legal streaming radio for business service. StoreStreams offers streaming music services for commercial use that are feature rich and affordable. StoreStreams is the ideal background music for business service to supply music for your restaurant, bar, hospitality, retail or grocery store. With StoreStreams you get the best of today and yesterdays hit music artist streaming songs you know and love. Need Streaming Music For Business Solution For Your Commercial Business? You can now stream music for business in stores with StoreStreams. 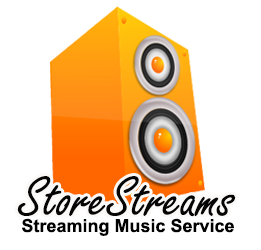 StoreStreams is the best way to stream music legally to your retail location. StoreStreams offers streaming music and messaging built for any size business. The StoreStreams streaming music for business service is the best streaming music service for business located in the United States and in Canada. StoreStreams offers a streaming music service that integrates seamlessly with your retail environment to create that perfect vibe for your customers and employees. StoreStreams offers streaming music services for commercial use for retailers, restaurants and business owners that are affordable and feature rich. StoreStreams is the best streaming music service for business providing background music service plans that start at just $20.00 a month. StoreStreams offers feature rich streaming music for your business. • The latest streaming music and audio technology — no discs, no downloading, no satellite dishes, no computers. StoreStreams streams the hit music of today and yesterday by the artists you know and love. StoreStreams is completely scalable and customizable for any size retail location no matter if you have one or one thousand retail locations. Business Music Service for plans start at $20.00 a month. StoreStreams is the turnkey streaming music for business service. The Store Streams background music service is a streaming media solution that integrates seamlessly within your business environment. With StoreStreams your business has access to the best in today’s hit music and a wide ranging music catalog to create the perfect vibe for your business! StoreStreams is available for U.S and Canadian businesses. To Stream Music for business In Your Retail Store Contact StoreStreams Today. StoreStreams provides streaming music for business services that are affordable and that play hit music you know and love. Listed below are several reason why StoreStreams is the number one choice to stream music for business. to relief stress, create moods and can set the tone of your retail location . Most people normally listen to music when they are driving, jogging and so on. Others do listen to music when they are walking. Business owners require background music to help set the tone of their business. Background music helps impact your brand and helps create that perfect vibe at your retail location for your patrons and employees. Do you operate a hotel, bar, restaurant or a supermarket? Do you need to have background music streaming at your place of business? Then look no further because StoreStreams has the best streaming music service for your business. The business music service you choose can make or break the customer experience you are trying to achieve. Your place of business can be very boring if it does not play background music in your retail location. Customers are likely to feel out of touch or misplaced with your business or brand and can choose not to visit your business again. If you want to mitigate this problem, you should consider hiring a business music service that can provide you with the best streaming music service for business. StoreStreams offers the best streaming music service for business. The StoreStreams business music service offers a complete solution for restaurants, bars, hotels and retailers of all sizes that are in need of a streaming music service for business. Solutions are tailored to create the perfect ambiance and listening experience for your patrons and employees. The StoreStreams business music service offers pre-programmed as well as custom radio channels that are fully licensed and 100% legal. The following are some of the advantages of hiring StoreStreams as your business music service. Get more customers by creating that perfect environment at your business. Generally, customers like to listen to music when they are shopping and so on. Bars require to have some background music in order to create that perfect social environment for their customers. This creates happy patrons and will help increase your revenues and eventually your profit margins. do his or her duties while listening to the background music. This can be very essential for those people who operate hotels. Your employees are likely to enjoy the recent tracks as they serve your customers. This can make them to be more productive. come to work when they are stressed. However, their stress can be reduced after listening to music. Cool music can also help people to meditate as they do their daily activities. This can be very helpful to bosses who have to make decisions from time to time. music for your customers. Your clients are likely to enjoy the gym when listening to music. It will make them stretch their muscles more and so on. Most of them will end up spending more time in the gym. This can help you make more money. StoreStreams plays the hit music of today and yesterday by the artists you know and love. StoreStreams is completely scalable and customizable for any size retail location no matter if you have one or one thousand retail locations. StoreStreams offers streaming music for business with service plans that start at $20.00 a month. StoreStreams is available for U.S and Canadian businesses. StoreStreams is the turnkey background music service for your grocery store business. The Store Streams music service is a streaming media solution that integrates seamlessly within your retail environment. With StoreStreams your business has access to the best in today’s hit music and a wide ranging music catalog to create the perfect vibe for your retail outlet!